Thanks to Chris Coles, our Project Lead Volunteer, we have a new addition to our growing corpus of Oral History Interviews – we are now at number 38! 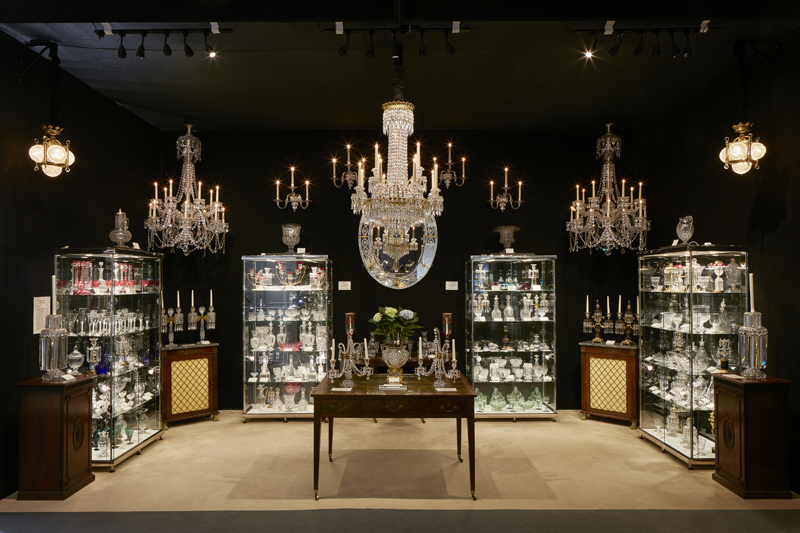 Our latest addition is an absolutely fascinating interview with David Fileman, a 3rd generation dealer of the specialist antique glass dealers Fileman Antiques, Steyning in Sussex. We really appreciate Chris and David taking the time to record this interview and of course we are so grateful to the BADA for their invaluable support in enabling us to continue with the oral history research theme in the Antique Dealer research project. 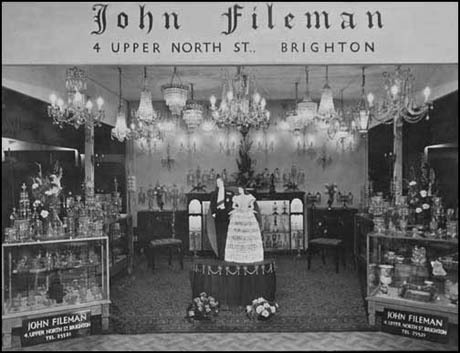 The business of Fileman was established in Brighton in the late 19th century by Morris Fileman, an electrical engineer and sometime pawnbroker – Morris is perhaps most famous for work to electrify Brighton Pier in the early 20th century. The business was continued by David’s father John Fileman (d.1962) after he returned from War service in World War I; John developed the business into one of the leading antique glass specialists in the UK, supplying well-known antique glass dealers such as Arthur Churchill, Cecil Davis and W.G.T. (Tommy)Burne. John Fileman Antiques, Brighton, antique fair stand, c.1960s. Photograph copyright Fileman Antiques. Our interview with David again illustrates the complex over-lapping practices in the history of the British Antique Trade, illustrated here in a business that started in electrical engineering, developing, through the evolving interests of members of the business, into a leading specialist antique dealer and one who supplied many of the world’s most important antique dealers, including Jeremy Ltd, Mallett, Partridge, and Hotspur, with antique glass, lighting and spectacular antique chandeliers – a tradition that continues today, as their recent stand at the LAPADA Fair (2016) demonstrates. Fileman – stand at LAPADA Fair 2016. Photograph copyright Fileman Antiques. We will update the Oral History pages on the Antique Dealer Research project website in the next few days – but thanks again to David and Chris for such a brilliant interview.